Blog Awards!! 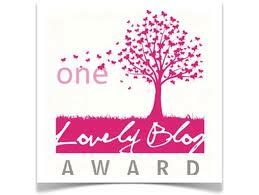 One Lovely Blog award and the Liebster Award! I was so bless to be nominated for 2 awards in the last few days. I can’t tell you guys how much being nominated for awards means to me! I started my blog over a year ago, and in the beginning I posted maybe once a month. It wasn’t until January that I really became passionate about it. In the last 8 months my blog has grown so much and that’s all because of you guys! So thank you so much for all of you who take the time out of your day to read that crazy things I have to write. I didn’t want to completely spam all of you guys with two blog award posts back to back so I decided to combine them. Hope y’all don’t mind! I want to thank give a HUGE THANK YOU to Christina from Adventures in Polishland for nominating me for the One Lovely Blog award!! Thank you so much Christina, shes a fellow law student and nail blogger who has nails that I’m totally envious of. If you haven’t seen her blog, you should check it out! 4. Nominate up to 15 other bloggers for this award. 1. I’m going into my second year of law school. Just 2 more years before I seriously have to start being an adult. 2. My favorite food in the entire world is Peanut Butter. I just take a spoon and eat a whole jar in one sitting and not event think twice about it. 3. I’m a boater and pretty much grew up around boats. I have a boat and 2 jet skis. I basically live for the summer months when I can be on the water. 4. I love to travel and have been to close 20 different countries (. I lived in London for a year and also studied abroad all over China. My all time favorite country is Ireland. I also have about 10 different vacations planned already I just need the money to book them. 6. Avid reader! Before law school I would read a book a week. Since I’m nominating blogs for both awards, I’m only going to nominate 5 for each. 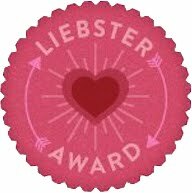 I also want to give TWO HUGE THANK YOUS to Elissa from Lissa’s Polish Addition and Bec from Nail Gun XS for nominating me for the Liebster Award!! Thank you so much Elissa and Bec, they are both Australian nail bloggers. I have to admit I’m completely enamored with all things Australian so I was so honored and blessed that they nominated me. Elissa always has amazing nail art posts and Bec is going to cost me so much money showing off some amazing indie brands. If you haven’t checked out their blogs you definitely should! I’m totally copying and pasting what this award means from their blogs. That is beyond sweet of both Elissa and Bec to nominate me! 2. I’m the oldest. I have my brother who is 4 years younger than me and a step brother, 2 years younger, and a step sister, 6 months younger. 4 kids within 4 years of eachother. I felt bad for my dad when we were all in college at the same time. 3. I’m a TV addict! Once the fall shows start again I have like 3 shows on every single night and my DVR is always running. 4. I love straight to DVD horror movies. 5. Love roller coasters too. 6. Totally obsessed with Carrie Underwood. I would totally break up with my boyfriend if she told me she wanted to marry me. I have the biggest crush on her. 7. On the topic of music, I have the weirdest taste. I love country and punk rock. I like some popular music but not much. 9. I had 2 dogs at my moms house and always was a dog person. Then I moved in with my boyfriend in an apartment that only allows cats. He brought his cat. I don’t really like cats but I’m in love with this one. He is the cat that is licking his crotch in the videos I post. 10. Dream vacations of the moment are Phuket, Australia and New Zealand, Greece, Rio, and Peru. I was also planning on going to Tokyo next spring with some law school friends but that trip is still being planned. 11. Speaking of vacations, I go stir crazy not traveling. I normally take about 3 or 4 vacations a year. 1 to new york (where I’m from originally), 1 somewhere with my dad and lately that has been somewhere in some mountain range, 1 international vacation, and 1 to some random city in the US. I want to see so many different places and experience all sorts of new cultures. Originally, New York. Now, Ohio. I’ve lived in Ohio for most of my life. 3. If you were stuck on an island, what are the top 5 things you need? 4. What is your favourite nail art design that you’ve done (or that you’ve seen on someone else, if you don’t do nail art)? not a nail art fan. I do like some of the trends like watercolor nails and grunge nails but I don’t really do much else. 5. What are some of your favourite nail polish brands? 6. What are your favourite nail care products? right now Nailtique II for soft and peely nails as my base coat. Cuticle oil. Glass nail files and a good top coat. 7. Number one nail tip you’d like to share? Glass nail files are definitely important because they keep your nails from getting weak at the tips. Also, either take supplements or vitamins, it totally helps your nails grow. Me personally, I was taking vitamins until I discovered the advantages of drinking a lot of milk. Specifically I love Almond milk but that’s a personal preference. The calcium has made a huge difference in how fast my nails grow. 8. How often do you do your nails? 9. If you won a million dollars what would you do with it? Pay off my student loans, save some money to have a nice wedding so my dad won’t have to pay for me and my step sisters, buy a car, take an awesome vacation, and then invest the rest! 10. What are your hobbies other than blogging and nail polish? 11. What nail trends do you love, and which do you hate? Trends I love with nail polish are glitters and indie polish. Seems like so many people are starting to get really creative with homemade nail polish. Trends I hate are crackle polishes, acrylics, and a ton of nail art. Not that people who do nail art aren’t artistic, talented and creative, but I personally don’t like how it looks on me. 3. What are your five favorite nail polishes of all time? 4. What is your dream vacation?? 5. What are some of your favorite nail polish brands? 6. What are your favorite nail care products, base coat and top coat? Some of those girls have way more than 200 followers but I felt like they should be nominated anyways! Hope y’all enjoyed this post! And maybe this will give you some new people to check out. You’re welcome! & thanks for the other nomination 🙂 i’ll have to get to that!